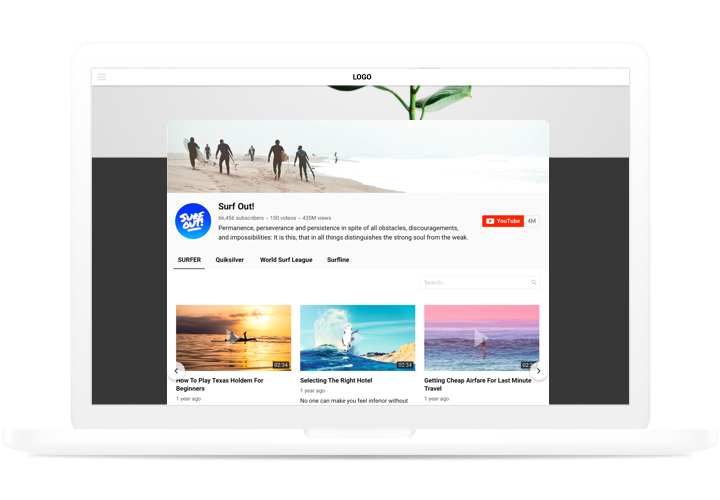 A multi-purpose widget for YouTube, which allows displaying videos on a website. Choose the desired channels and video clips to create your playlist and integrate it straight on the page using the most suitable layout (video gallery, portfolio, channel, single video). 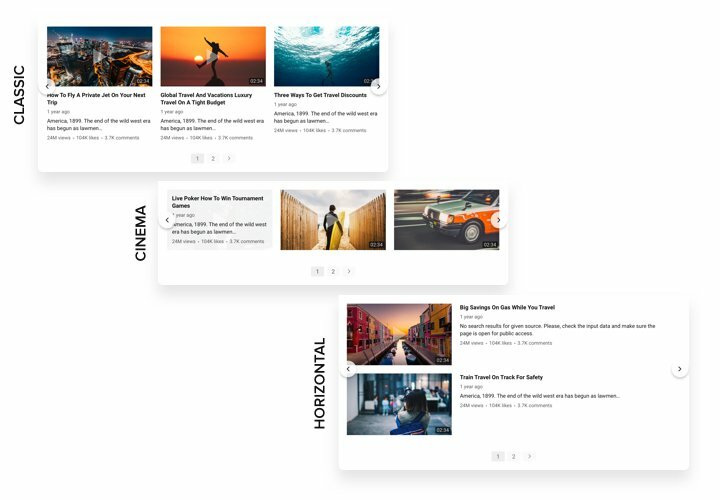 Our widget is adaptive to all devices and browsers; it has 100 parameters, flexible template and many other qualities, which help to embed it on every website.Set a unique video gallery to keep interest of your clients. Increase interaction with the clients of your site with the help of engaging YouTube videos. Entice your website audience with high-quality content from YouTube and hold their interest for longer. Get more orders from the site with the right YouTube content. 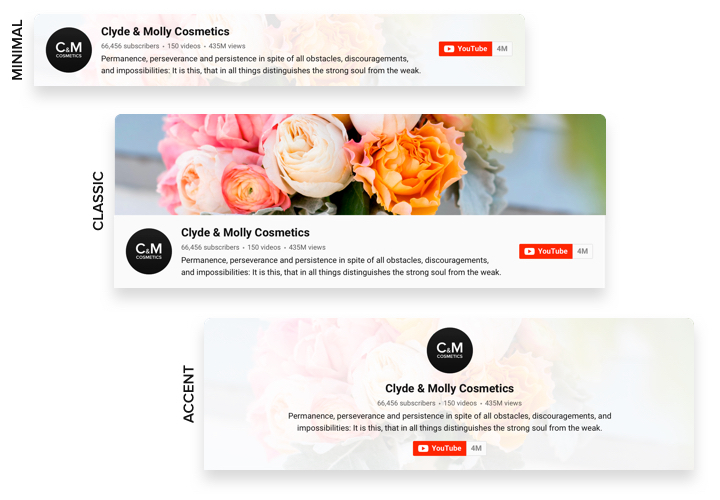 Show promo videos, reviews, guides and many more, so that your users could have a full understanding of your products and business terms and make a positive buying decision. 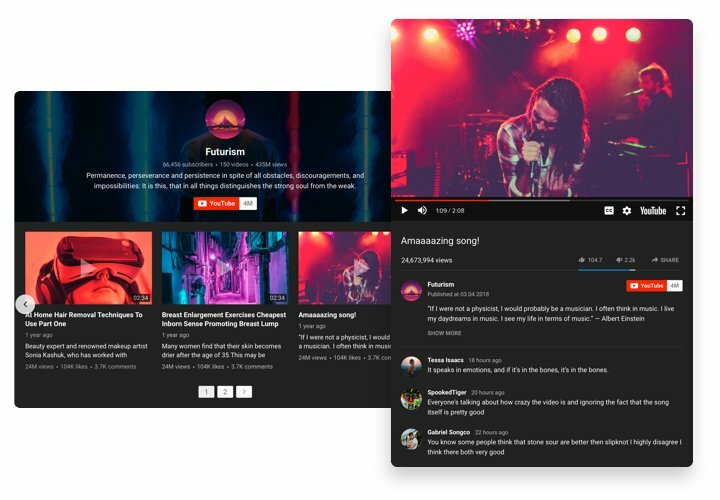 Get more target fans for your YouTube profile. Convert website visitors into your subscribers on YouTube. 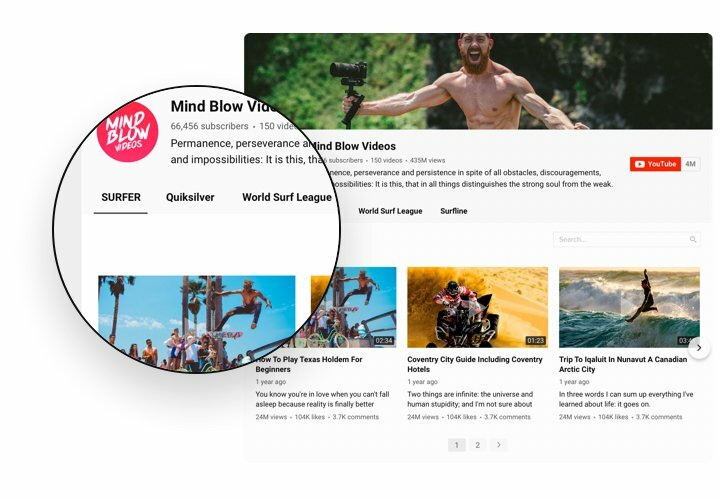 Integrate a quick and simple way to watch videos and subscribe to your channel right from the page. Here are the most valuable options of our widget, which turn it into the best tool to show YouTube videos on a Webnode website. A quick instruction by Elfsight on installation and interface adjustment without skills in web development needed. Average installation time is less 90 seconds. Create your personal YouTube Video Gallery. With our free demo, create a plugin with necessary design and capacities. Receive a code for embedding the plugin. After widget setting, acquire a code for YouTube plugin from the appeared notification on Elfsight Apps. Publish the plugin on Webnode site. Integrate the plugin to the website on the place that you need, and apply the results. You’re done! Enter your Webnode site, to see your work. Came across any queries while installing or customizing YouTube Gallery? 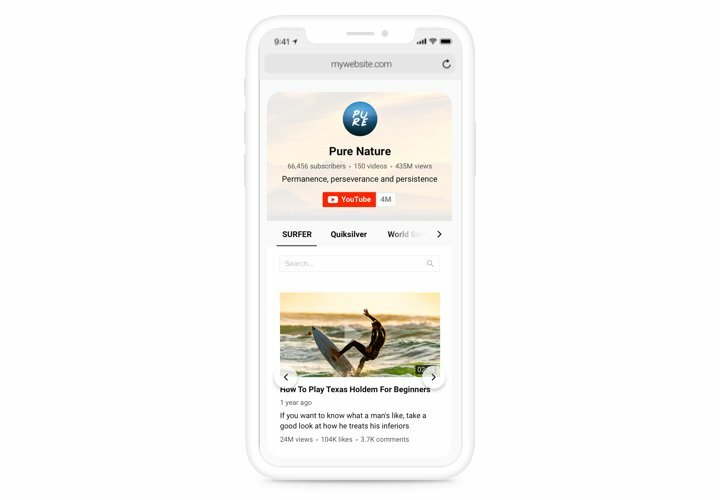 Check it in our extended instruction «How to embed YouTube on Webnode» or leave your message at our help center with full description of the issue. We will be happy to provide a solution (from 10 a.m. To 7 p.m. CET, Monday to Friday). Create an unmatched Webnode YouTube Gallery in just 1 minute!